June 2003, New York City, Dana Trentini, Hypothyroid Mom openly shares her story about Constipation. I would like to thank my father for encouraging me 10 years ago to speak with my doctor about a topic that was too embarrassing to discuss – my lifelong constipation. My dad is no longer with us, but I know he is watching over me right now as I type this article. By sharing our story, we may save the life of a reader here today. Thank you Dad. Have you ever checked the drugstore aisle for laxatives and stool softeners? Have you ever noticed how many products are on those shelves? Constipation is one of the classic signs of an under-active thyroid. Without enough thyroid hormone, many of the body’s functions slow down. Hypothyroidism slows the action of the digestive tract causing constipation. The Thyroid Federation International estimates there are up to 300 million thyroid sufferers worldwide, yet over half remain undiagnosed. With millions of undiagnosed hypothyroidism sufferers worldwide and millions more insufficiently treated, is it really any wonder why the shelf for constipation remedies is stocked so high? Looking back I’ve suffered from hypothyroidism symptoms including chronic constipation ever since I can remember. When I landed in the emergency room during a vacation from severe constipation, my thyroid was NOT tested. Even when my colon polyp was discovered in 2003, my thyroid was NOT tested. 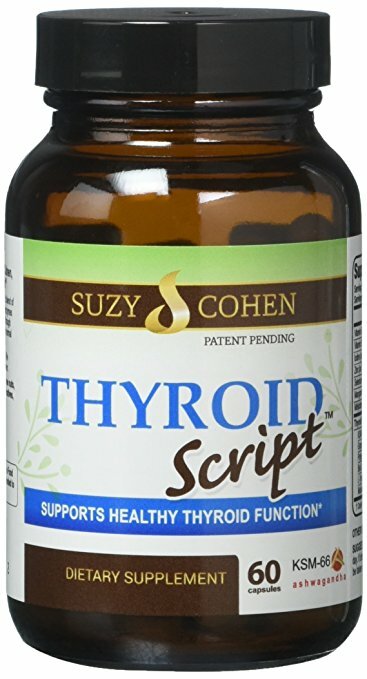 It took landing in the emergency room after my first son was born with excruciatingly painful kidney stones in 2006 to finally receive my hypothyroidism diagnosis. We are each unique in how our bodies react to different substances. Consult with your doctor before trying any supplements mentioned at Hypothyroid Mom to be sure they are safe for you and to determine the ideal dosage for you. Be sure to take a look at the links in this list because they were each carefully selected to provide additional important information. 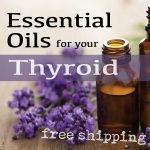 Optimal Thyroid Treatment – It wasn’t until my doctor did comprehensive thyroid testing and explored the thyroid drug options to find what was right for me, that my constipation began improving. 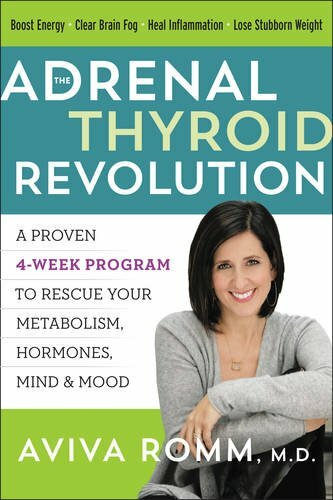 This is a critical step for every hypothyroidism sufferer. If you are reading this article right now and you suffer from chronic constipation but you’ve never been diagnosed with hypothyroidism, please get your thyroid tested. 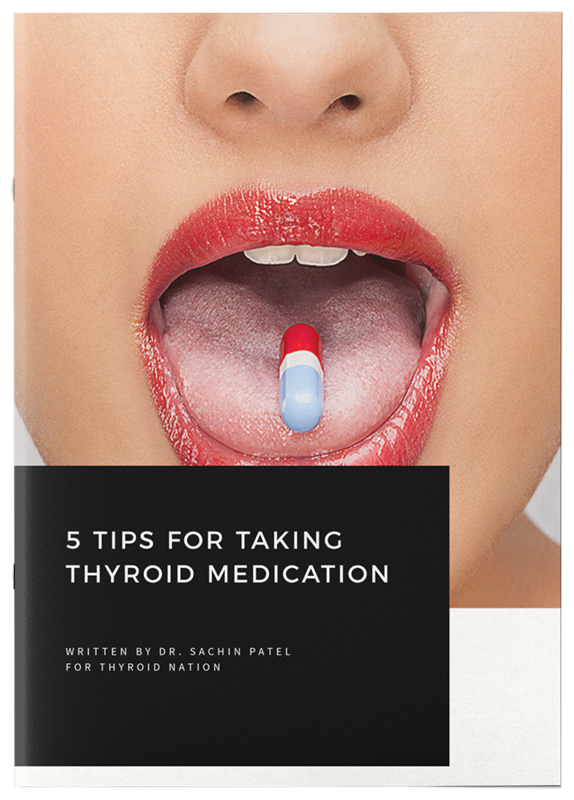 If you are being treated with thyroid medication but you still suffer from common symptoms like constipation, take a closer look at whether you are being optimally treated. Fiber-rich foods – I added fiber-rich foods to my diet including a variety of beans, avocado, pear, raspberries, blackberries, apples, prunes, and almonds. Be sure to start slowly because a sudden shift to a high fiber diet can cause gas and bloating. Water – I increased my water intake to 8 glasses of water a day. Probiotics – I included a probiotic every day. Omega-3 – I increased Omega-3 in my diet with fish oil, careful to select mercury-free brands. Extra Virgin Coconut Oil – I included coconut oil in my baking and added it to my smoothies. Magnesium – All 6 points mentioned above were helpful in improving my constipation. However the real change came when my doctor tested my magnesium level and found it to be below the normal range. Magnesium deficiency is a common issue for hypothyroidism sufferers. Thanks to taking magnesium glycinate every night before bed, I now go regularly every day! That’s a miracle for me. Magnesium has saved my life. If you are suffering from constipation please, please please get your magnesium tested. 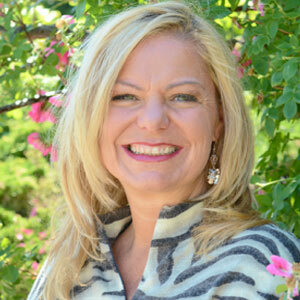 Dana Trentini – Who knew this little butterfly-shaped thyroid gland at the base of my neck could affect my life so completely? Hypothyroid Mom was created in memory of the unborn baby I lost to hypothyroidism. Connect with me on Google+ and Follow her on Facebook and Twitter. You can read this original article, here. Questions or anything to add about constipation? We want your thoughts in the comments section–Please! You might just help someone else in need. My doctor is hesitant to do a colonoscopy yet (wants me to try a treatment thing first… Not working), but the symptoms are so similar. Only difference, when I do go, it is (usually) soft as if I was never constipated. I think I will ask for my magnesium to be checked. I do all the rest. I love this! I wrote you early today, (to one of your post under the name of “The best medicine for hypothiroidism”), excuse my english by the way , is my second language, I know I make many mistakes when I write. You don’t know how relevant your post is to me. I am currently under treatment, it has been almost two years know, but men, I really want my colon problems to go away. I was seriously considering a enema or a colonoscopy to see what was wrong. Because I don’t want to become hypochondriac I don’t pay attention to many things, I don’t want to blame everything to my thyroid. Sometimes I don’t know if it is something I am doing wrong. People attribute everything to stress nowadays. I am a mental health therapist, so I know that even if we think we are handling our stress properly, it might only be at a cognitive level, thus expresing itself throught our body. But I think this is not my stress. There is something wrong with my body and I don’t know if it is only my thyroid. This post was really nice for me. Thank you. Keep up the good work!